Process Checks Online. Accept Electronic Check Payment/Billing on Your Website. ACH (Automated Clearing House) is a method in which retailers or service providers can accept personal checks online while processing the check electronically like a credit card payment. The customer’s payment comes from their checking account, but you do not have to wait for your bank to process the check, send it to the issuing bank, and then wait for the payment to clear, a process that can take upwards of a full business week. Losely associated with EFT (Electronic Funds Transfer), the system makes it easy for you to clear check payments quickly and efficiently. You can also use the ACH system to send payments to your own creditors automatically so that the payment is received on the exact same day that you receive it. Normally, you would mail a bill and that bill would take up to five days in the mail before the company received it. With electronic funds transfer, payment is recorded on the same day that you have sent it. 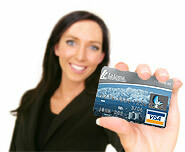 Unlike credit card processing methods, ACH is generally fee free. You still do face bounced check charges, just as you would with a debit card payment, but with a firm policy about bounced checks, you can avoid hassle if this happens and have the customer reimburse you for any bounced check fees. It is also an easy system to track because everything is recorded online, and you can check the balances daily from the comfort of your own office or home computer. You’ll be able to cut down the necessity of having extra financial workers and eliminate the extra salaries and benefits that would have been paid out when you had different clerks to track your accounts payable and accounts receivable. With electronic payments, if you have customers who make monthly payments (Rental Centers, Auto Dealers, Fuel Companies, Large Ticket Items, etc. ), you can set them up with monthly payments through an automated system that will make the payments on the due date without hassle. It is convenient for the purchaser, and ensures that you are paid on a timely basis without having to listen to the “check is in the mail” excuses. You receive funds within 48 hours instead of waiting for up to a week. You do not need to use postage or gasoline in order to mail or deliver your deposits to your bank or credit union. Customers will appreciate the security of using their checking account and not having to rely on high-interest credit cards. Payments are processed automatically by the computer system eliminating the need for additional accounts payable and accounts receivable clerks. ACH systems are used by the government so the security levels are extremely high and well protected. Bill paying can be set up automatically, so you will never miss a payment. When you are paying your creditors, the payments are made electronically so you no longer mail them using costly postage. Paying online also reduces the expense of purchasing more business checks. The system is easy to use. The customer will enter their checking account number and routing number from the bottom of their personal check. The computer uses that information and transmits it to the bank via their routing number and requests that the money be transmitted to your bank account automatically. Providing there is enough money in the account to cover the payment amount, the payment is they scheduled to be transferred to your own bank account, usually within 24 to 48 hours. There are no fees and no hassles. Your customers will appreciate the ease of not writing out a check and having to schedule payments around the post office hours, and you will be much happier receiving payments on time.